Preserved using Preserved using HPP-ultra high pressure, 6 months shelf life. Gluten Free: Wheatgrass Juice is the liquid extracted from the sprouts of hard red winter wheat and is harvested at the stage immediately prior to the appearance of the first true jointing of the plant stem as it grows from seed, effectively young wheatgrass. There are no seeds present at this stage so that anyone who is allergic to gluten is still able to drink wheatgrass juice. Gluten is only found in the seeds and without seeds there is no gluten. Wheatgrass was used back in the days of the old Persian Empire (about 3,000 years ago) where it was and still is one of seven items used to celebrate Nowruz (New Year). “Sabzeh” or sprouted wheatgrass signified the renewal of life and was also used to restore blood of women after child birth. More recently, wheatgrass juice enjoyed a vogue as a health tonic in the 1940s. In subsequent times, the age of fast foods and convenience foods eclipsed such health tonics. Then through the evangelism of Dr Ann Wigmore and others, wheatgrass juice again became known as a valuable tonic or nutritional food. 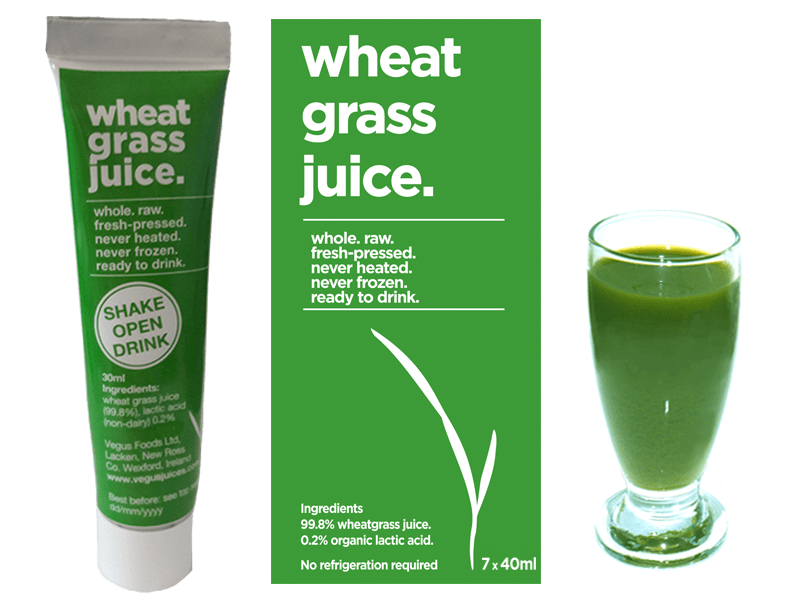 Many people consider that the juice is well worth taking at the rate of one or two fluid ounces (28-56ml) per day although we are not allowed to tell you what is does for you but you can do a web search for wheatgrass to see for yourself why 90% of our customers love our wheatgrass juice enough to order again and again. Read here a published research study on wheatgrass. Wheatgrass juice is a good source of protein and contains 18 out of 20 of all essential amino acids. Wheatgrass juice contains 12 of the 16 essential minerals. In fact wheat grain is one of the only seeds known to have the ability to take up 80 or more minerals during its life cycle which is in effect, close to all known minerals. This means that if grown with availability of nutrients, in the proper environment, wheatgrass will be very nutrient dense due to it’s incredible genetic design. A primary ingredient in the wheatgrass juice is the chlorophyll that gives the juice its distinctively green appearance. Wheatgrass juice also contains amino acids, minerals, vitamins and enzymes. You can also read some of the many research articles on chlorophyll. Wheatgrass, in it’s raw state is abundant in enzymes including amylase and protease which help break down nutrients. Unfortunately, the heat treatment process used to pasteurise other juices denatures or destroys their enzymes. For the same reason, there is no enzyme activity in wheatgrass powder that has been heat- or freeze-dried.